The present volume is on Development and Effectiveness of CAI in Sanskrit for std. IX Students. The software was developed on Eight Poems of Sanskrit using Corel Draw, Page Maker, and Macromedia Flash. 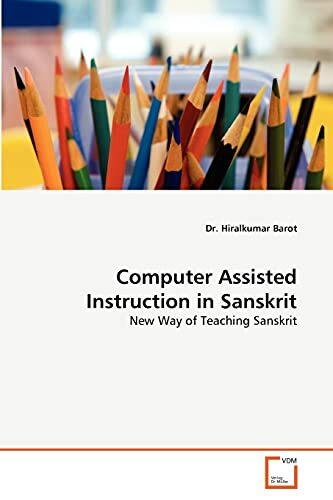 It is evident through the Research Report that the Software has been largely found to be effective for learning Sanskrit. It has been possible due to the expertise of the author in both Sanskrit and Multimedia. The problem has been well introduced, particularly, how technology can facilitate the revival of Sanskrit language. The software was developed through formative research. The view composition are very appealing. Further its utility was established through at end research. It has been one of the rare attempts on developing CAI, particularly, on Sanskrit Poetry. The research Rigor was well observed by the author in studying the effectiveness.